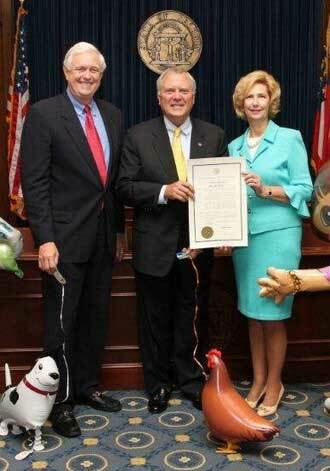 official proclamation from Georgia Governor Nathan Deal ?on September 01, 2011.? 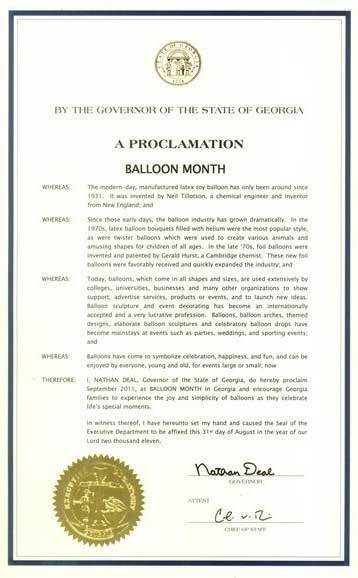 This proclamation seeks to recognize and celebrate ?Balloon Month.?? A couple of My Own Pets made a special appearance at the presentation.